Explore how your brain works and learn how to make it work better. Emotional stress, the strains of modern life and aging all can hasten cognitive decline. Memory, focus and concentration are especially vulnerable, but you can actually learn to take care of your brain, improve mental functions, remain alert and develop your brainpower. The new HeartMath Brain Fitness Program book explores the critical relationship between our emotions and the brain. It describes the hearts role in shaping and controlling our emotions and communicating with the brain. 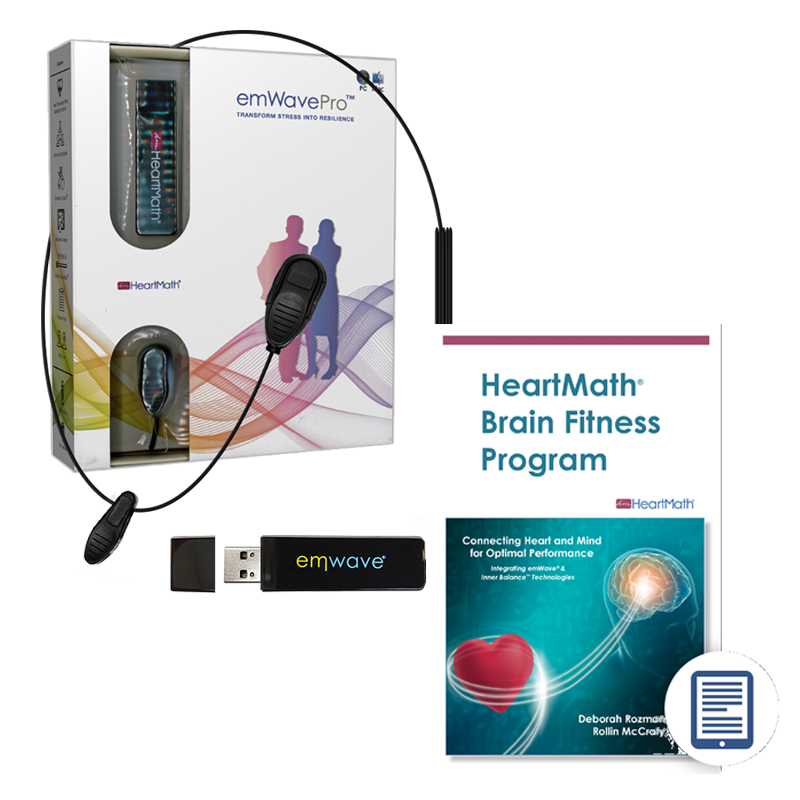 When used along with the emWavePro, you quickly learn how to raise your heart coherence to promote emotional stability, optimal cognitive performance and harmonious function across all of your body’s systems. This wonderful research-based work lays out a practical and simple method for using HeartMath techniques and technology to improve and sustain your cognitive abilities throughout your life.